Fine Art Mosaics Made from Play-doh! Home / Blog / Fine Art Mosaics Made from Play-doh! Who said clay was only for kids? Meet Lacy Knudson, mother of three, and her artistic invention that goes by the name of “Dozayix”. 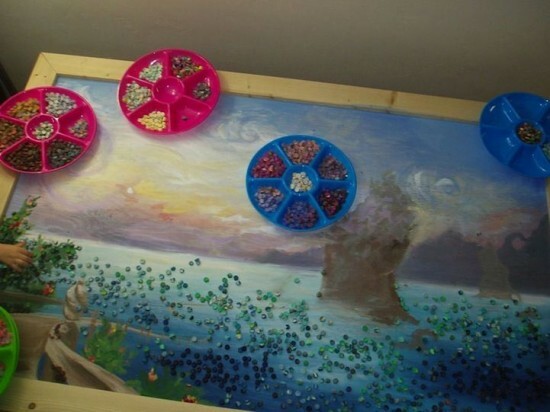 A combination between PlayDoh and mosaics, Dozayix consists of mushing little balls of clay and putting them together to create great artworks. 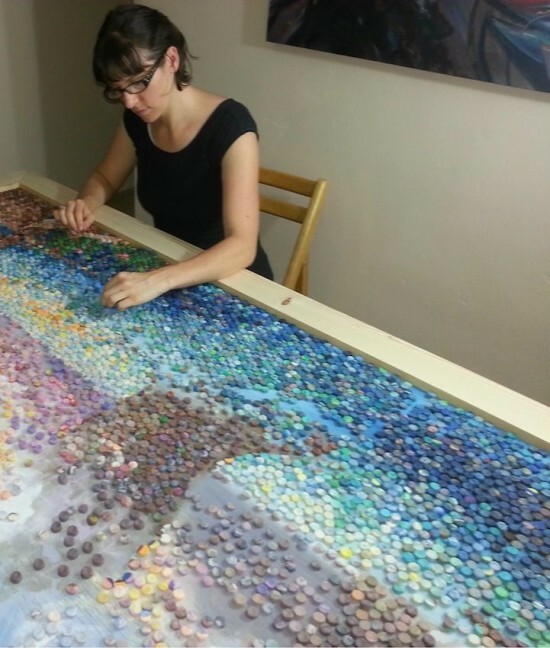 When she realized what she could do with these colorful tiny dots, Lacy did not hesitate a second to start her first masterpiece called A New World, for which she used 23 pounds of Play-Doh turned into 10,000 half-inch dots. The first piece was soon followed by two others, one of them called The Lady Undine. This one required 6 months and 152 jars of clay (12,191 dozaic tiles) to be completed. Inspired by nature, Lacy starts to paint the image she wants to create then reconstitutes it with the clay dots by arranging them over the corresponding color on the canvas. Isn’t it the best way to spend time with your children while working?